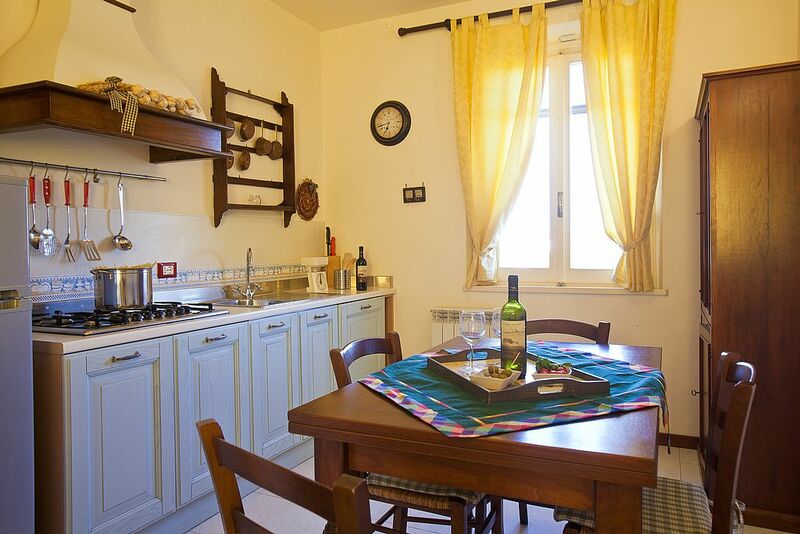 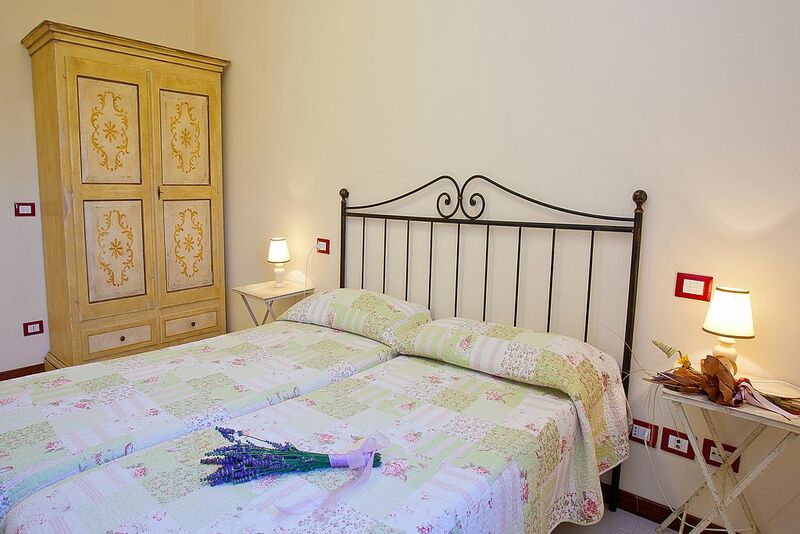 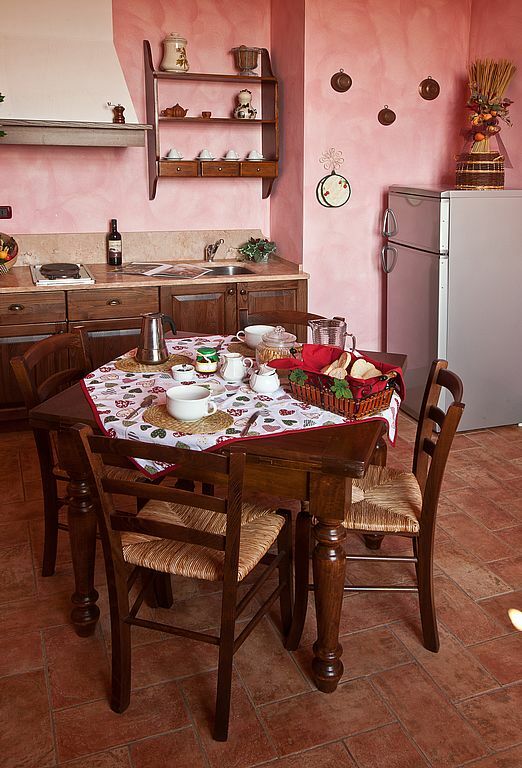 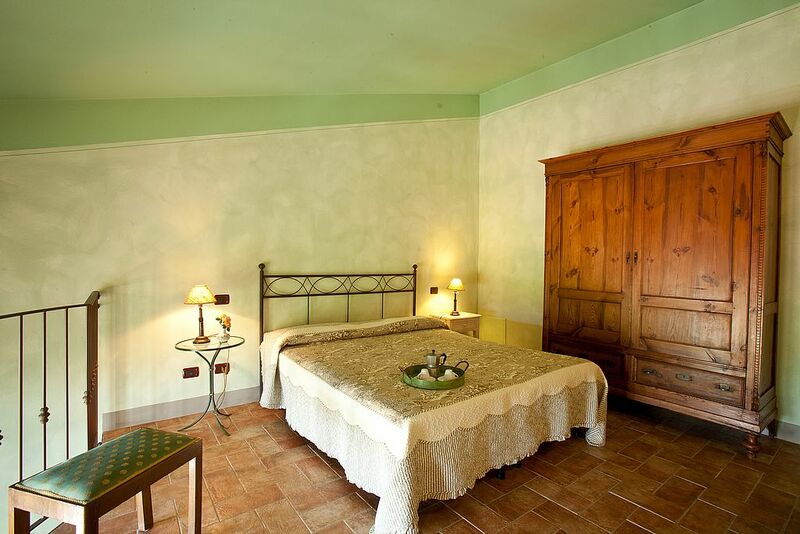 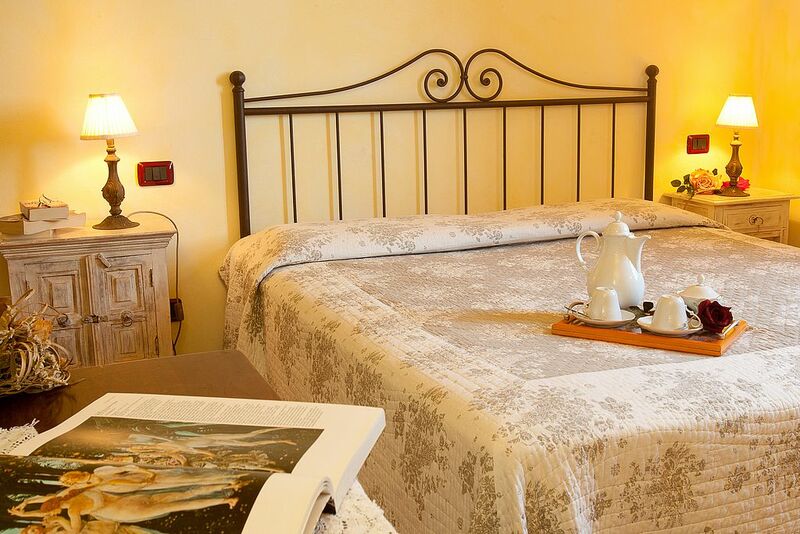 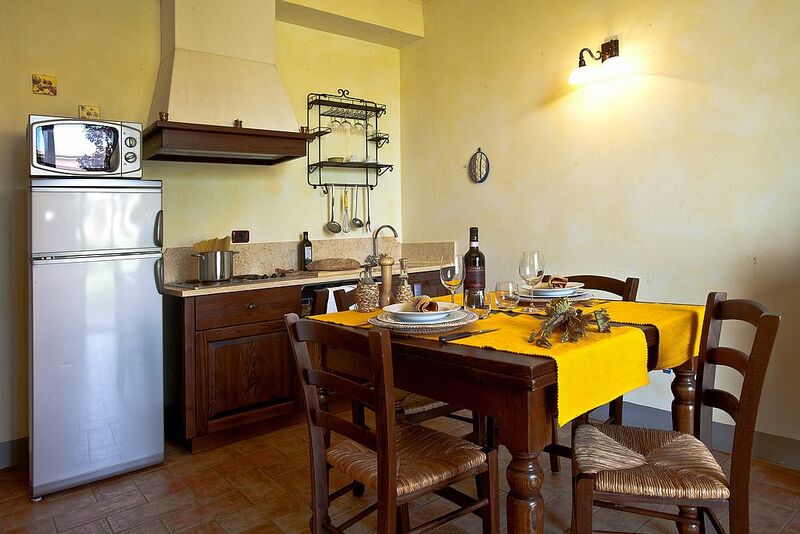 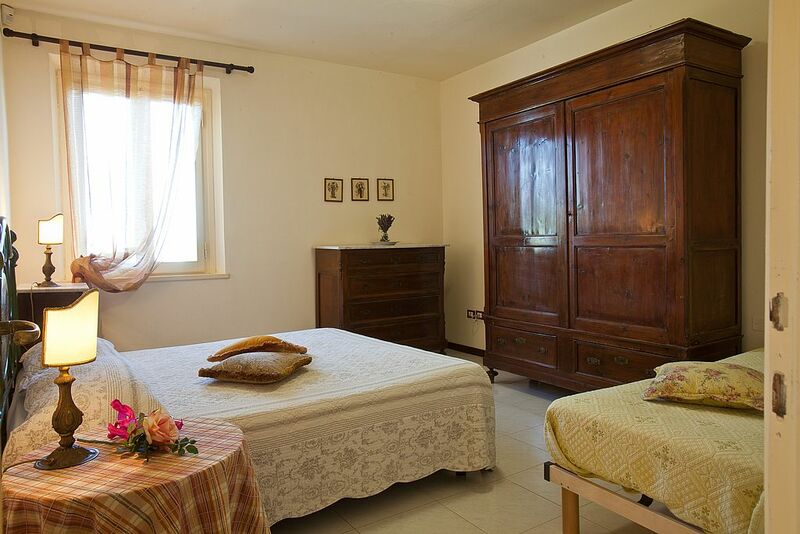 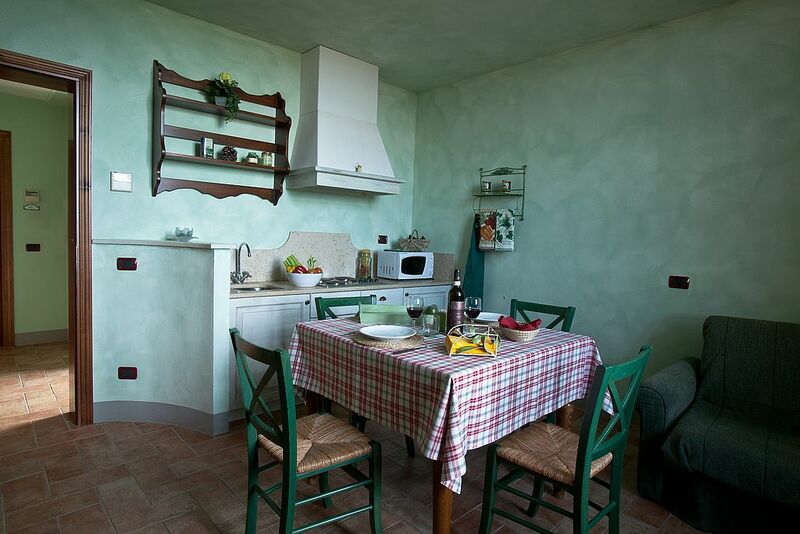 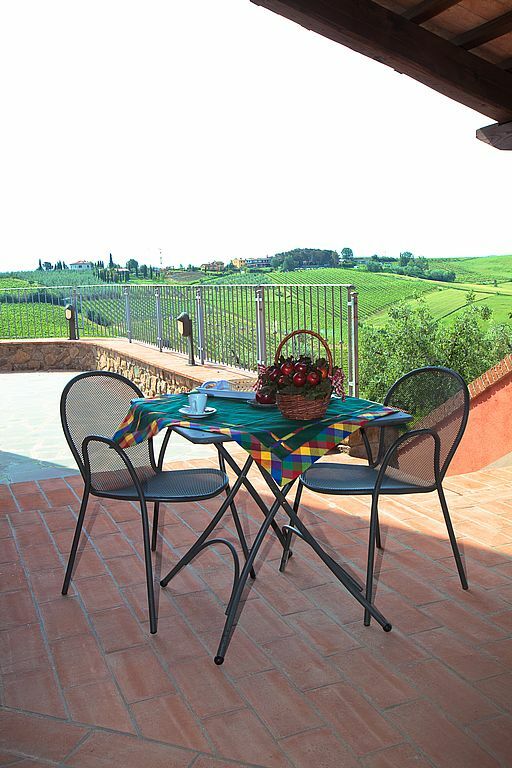 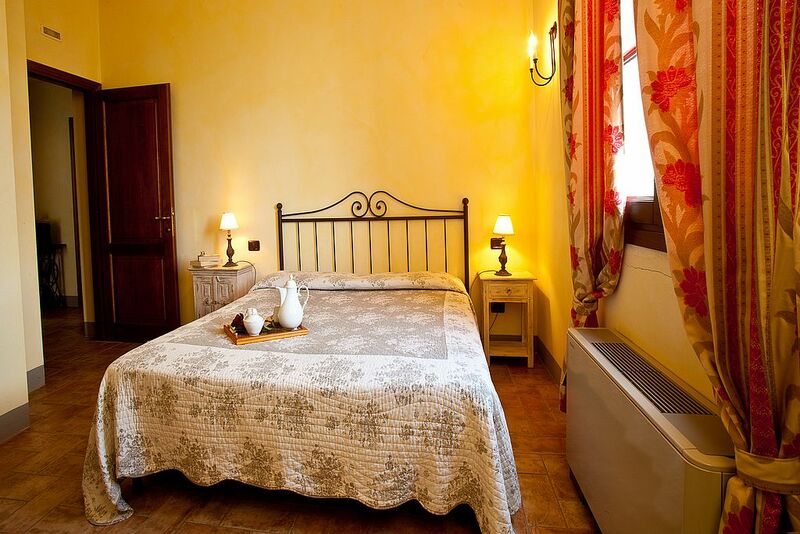 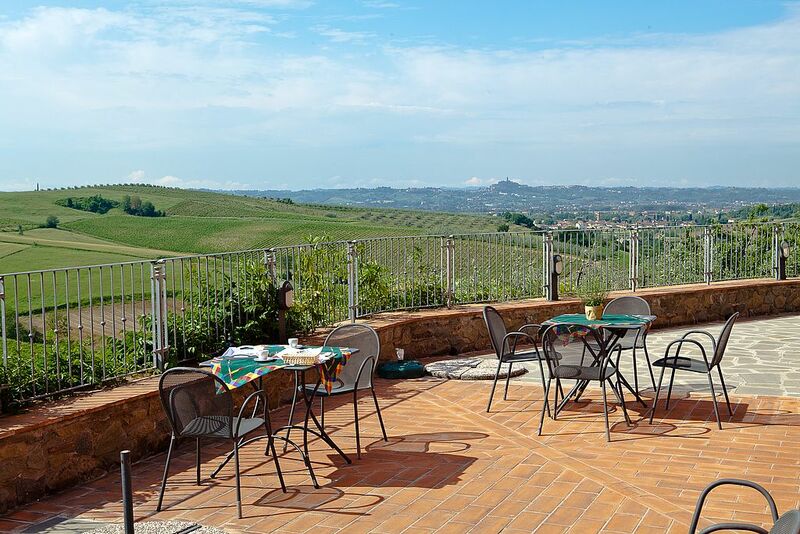 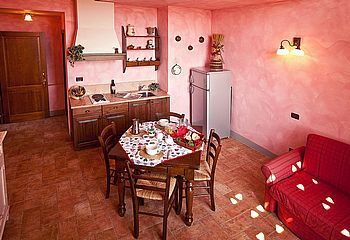 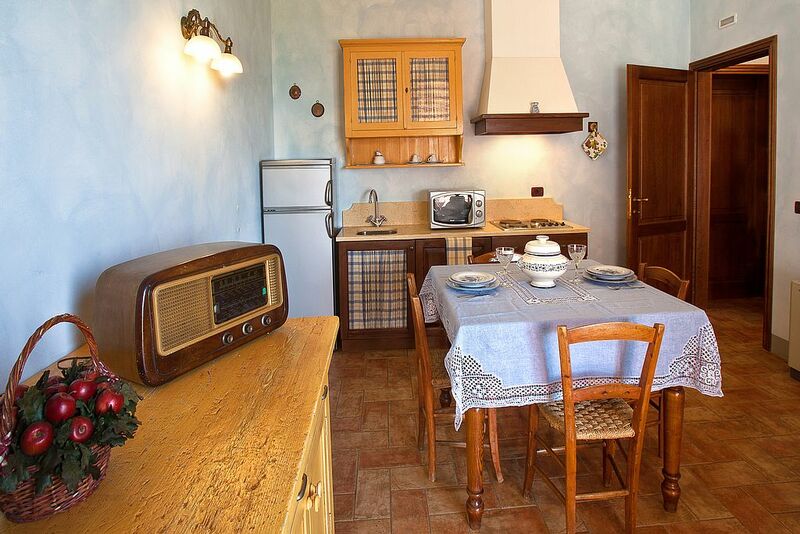 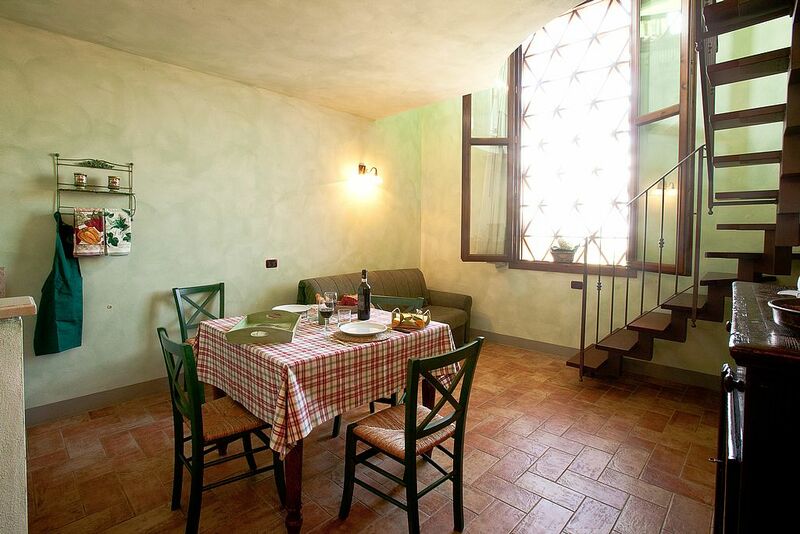 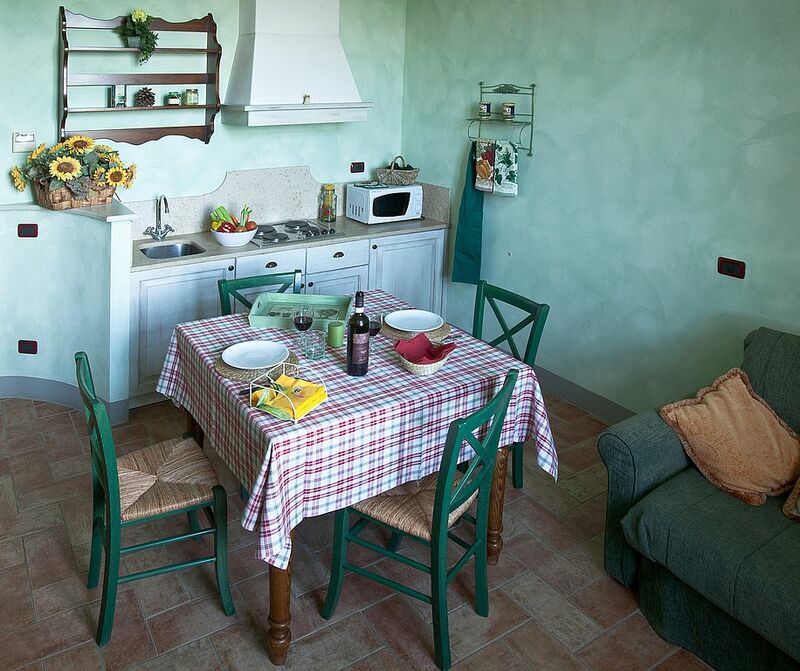 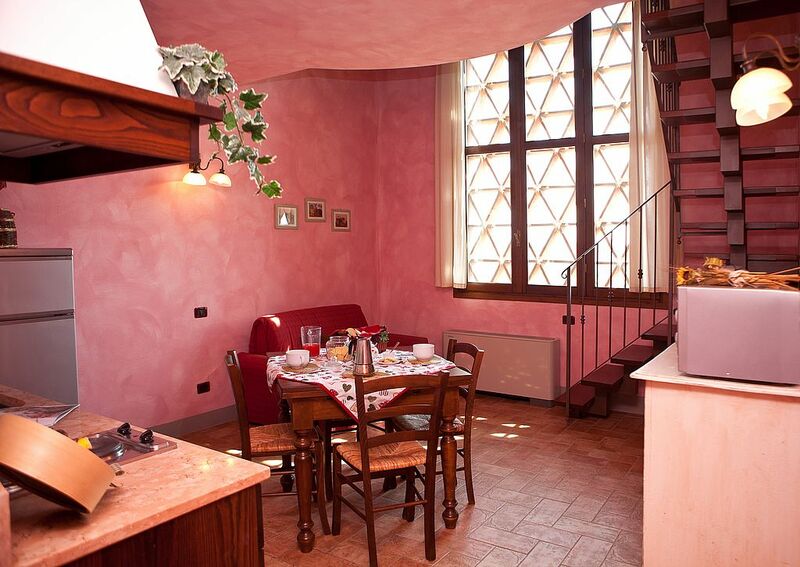 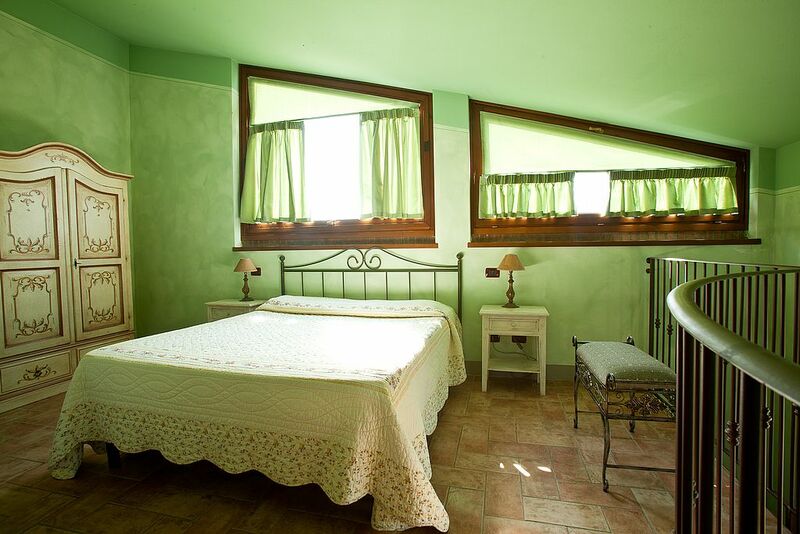 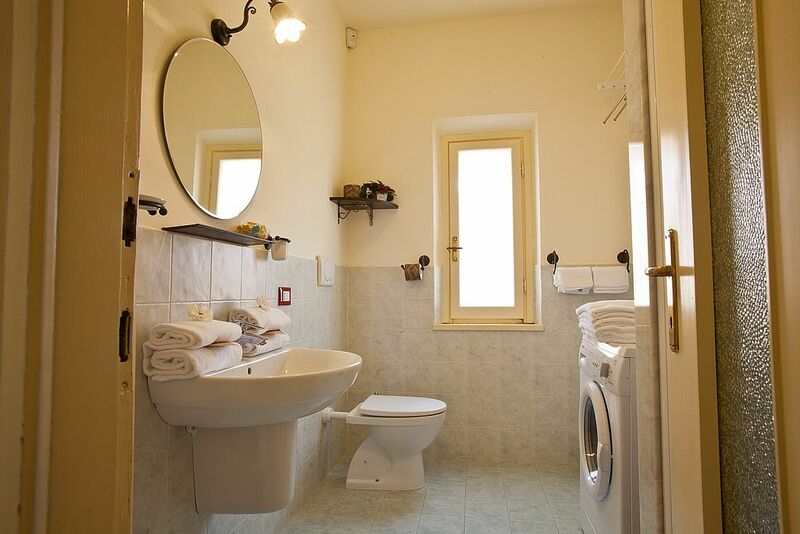 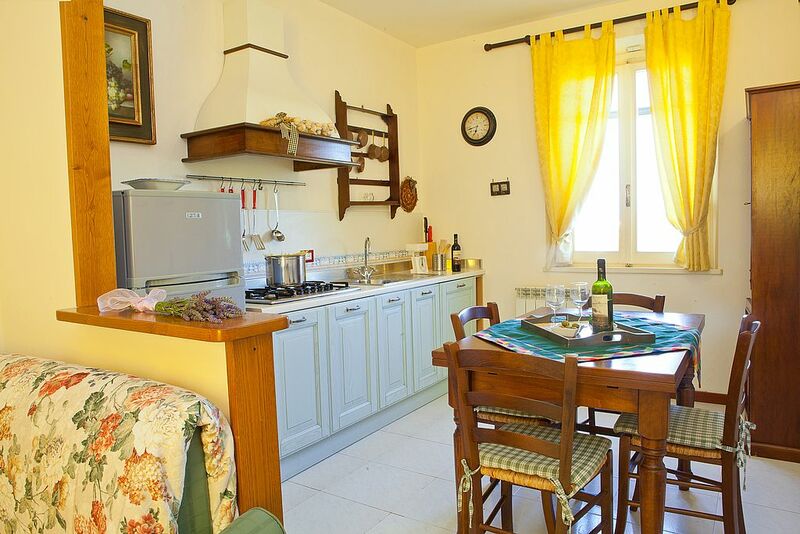 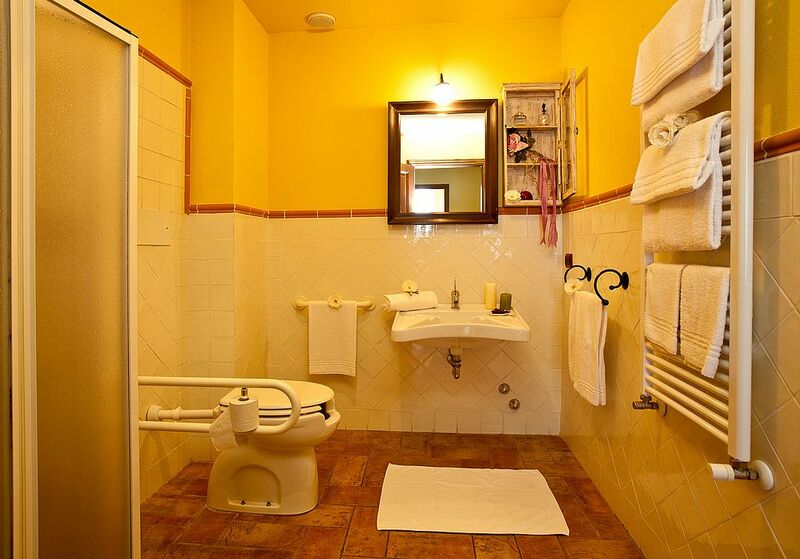 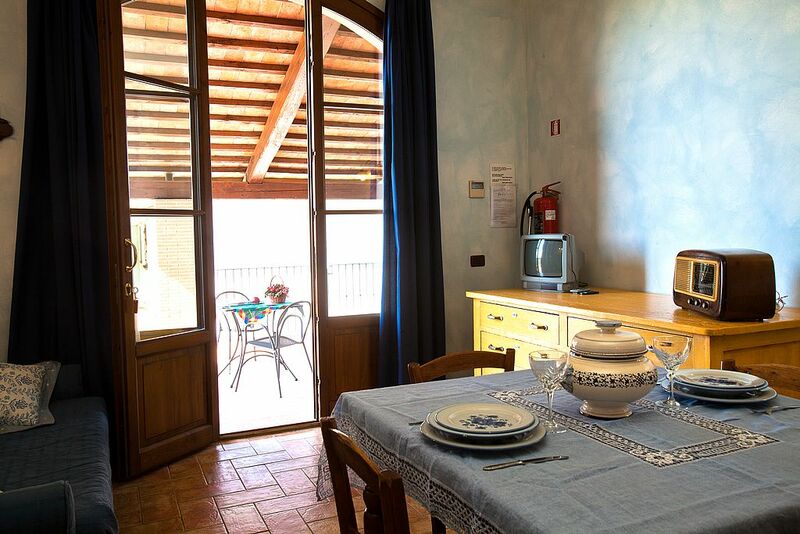 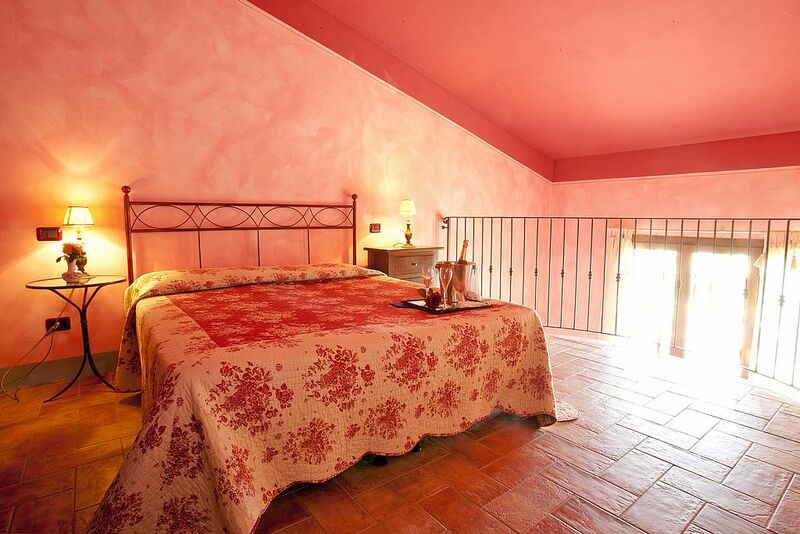 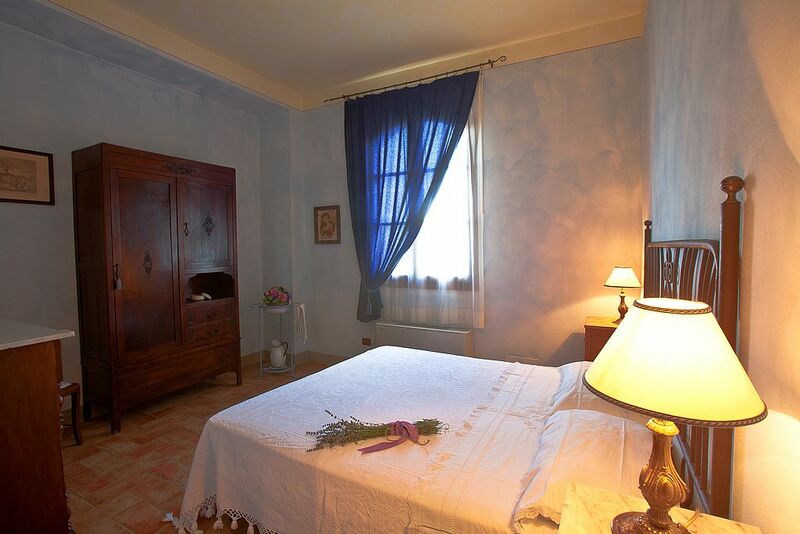 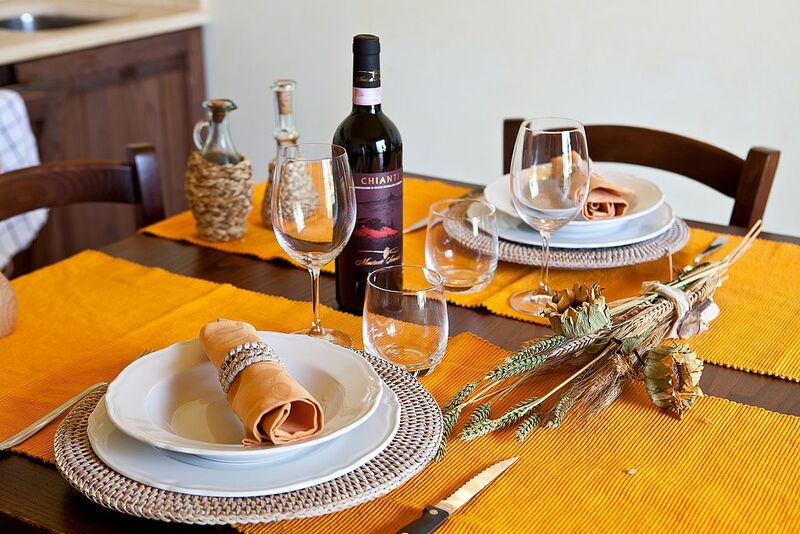 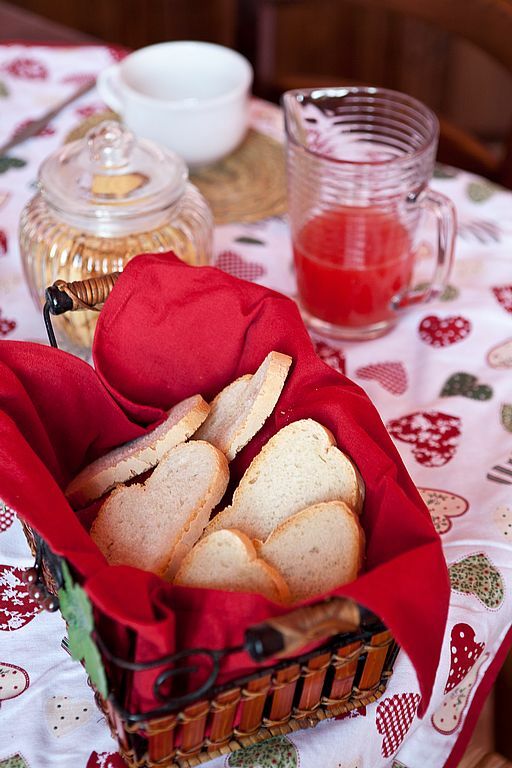 Apartments Agriturismo in Tuscany - Borgo Vigna Vecchia • Choose and Book NOW! 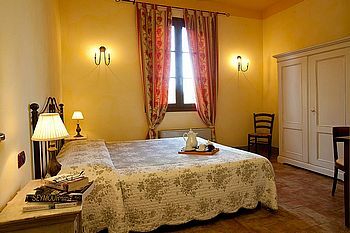 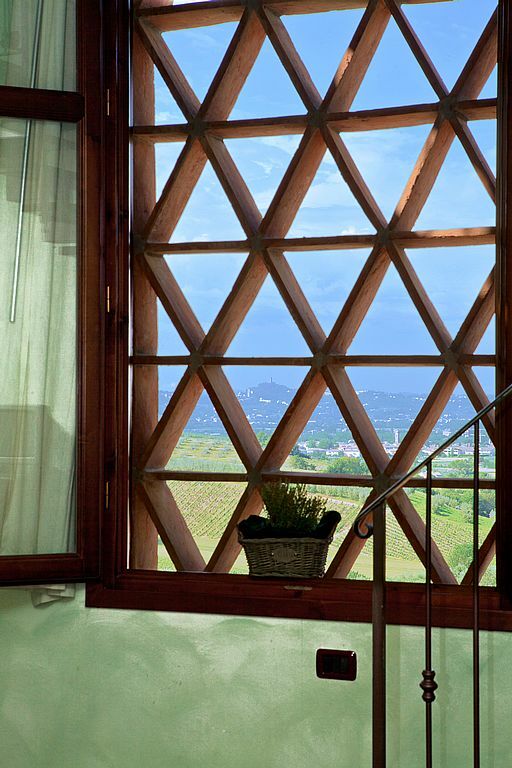 Borgo Vigna Vecchia offers twelve apartments, furnished and designed taking inspiration from the surrounding landscape, vineyards, olive groves and the farmhouse. 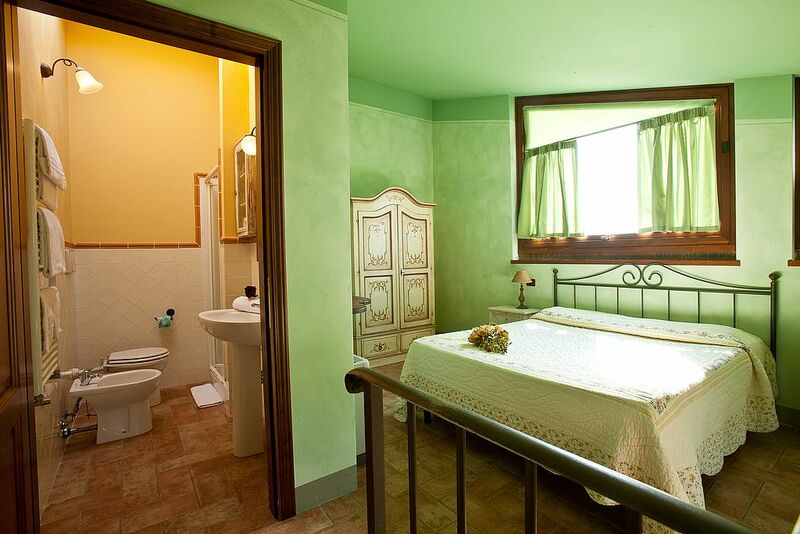 Green, Yellow and Red are the predominant colours mixed with the scents of the aropmatic herbs in the garden. 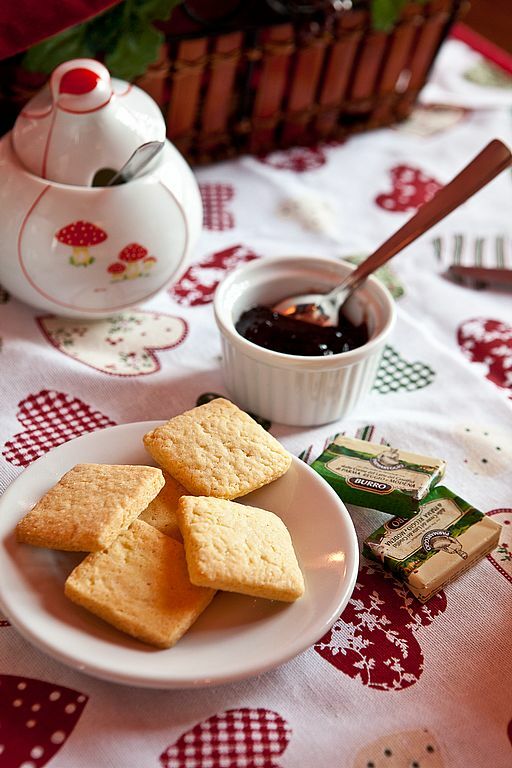 Fall in love with Borgo Vigna Vecchia! 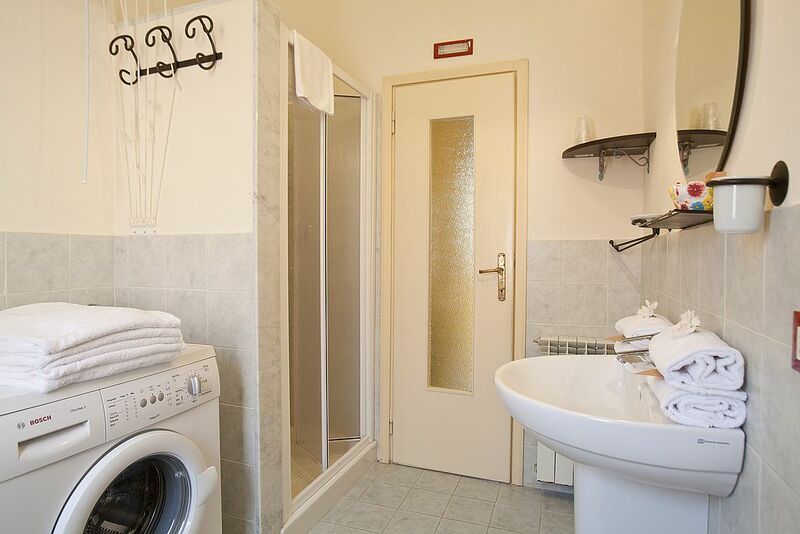 First floor, View, Free Wi-Fi, TV Satellite Channels, Air Conditioning, Heating, Tiled / Marble floor, Wardrobe/Closet, Shower, Free toiletries, Toilet, Bathroom, Bidet, Kitchenette, Refrigerator, Microwave, Dining Area, Kitchenware, Stove. 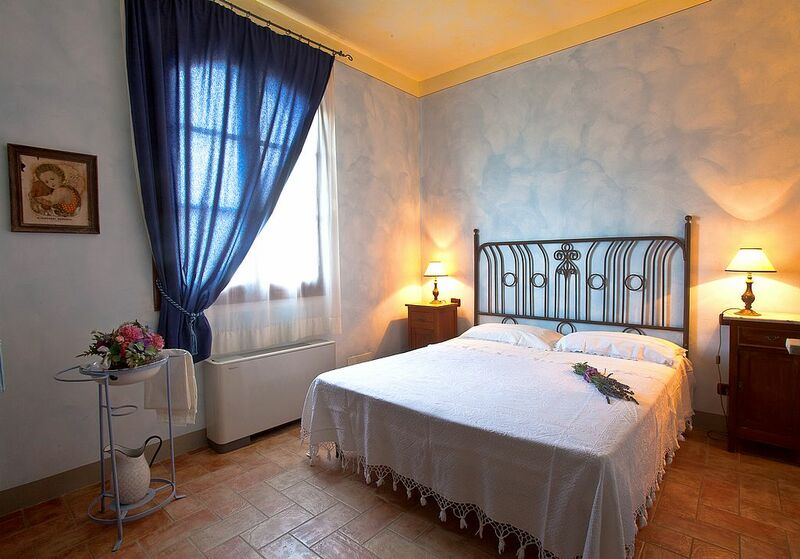 55 square metres, with 2 single bed , 1 double bed and e 1 sofa bed. 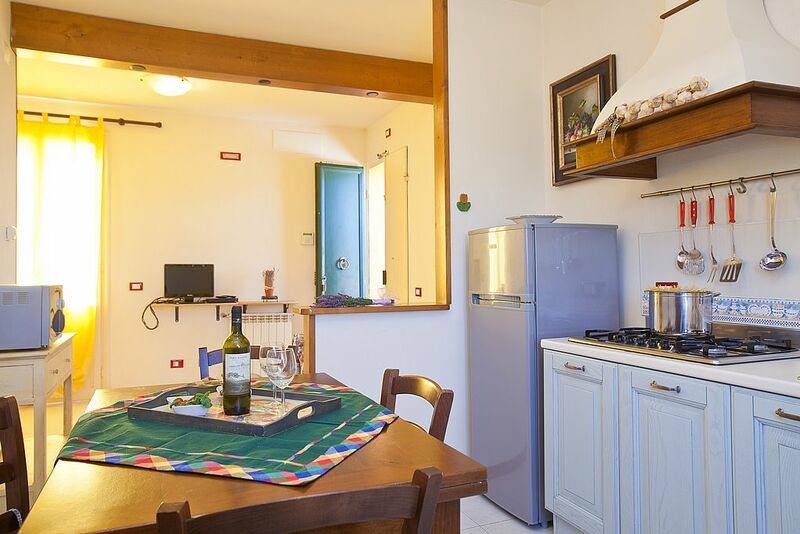 Free WI-FI, Garden View, TV Satellite Channels, Air Conditioning, Heating, Sofa, Tiled / Marble floor, Wardrobe/Closet, Shower, Free toiletries, Toilet, Bathroom, Bidet, Refrigerator, Microwave, Dishwasher, Kitchen, Dining Area, Kitchenware, Stove. 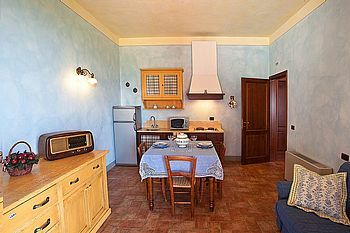 43 sqm, with 1 Double Bed and 1 Sofa Bed. 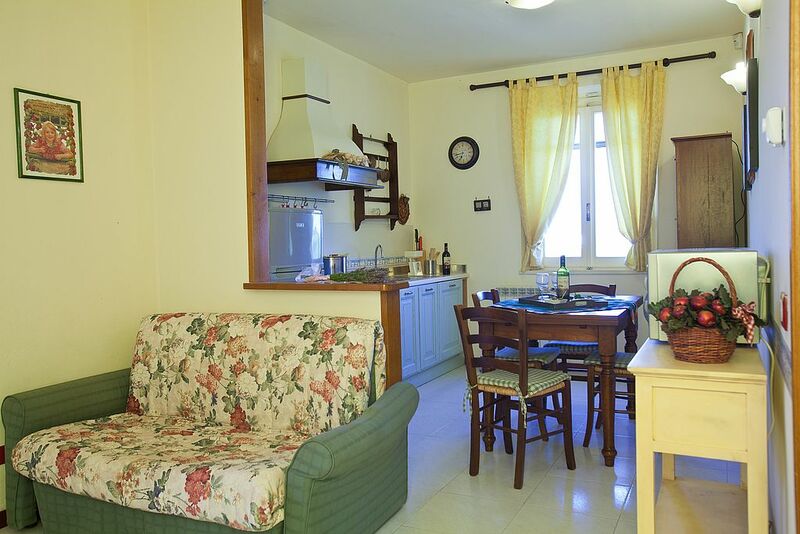 Patio, Free WI-FI, View, TV, Satellite Channels, Air Conditioning, Seating Area, Heating, Sofa, Tiled / Marble floor, Wardrobe/Closet, Shower, Free toiletries, Toilet, Bathroom, Bidet, Refrigerator, Microwave, Dishwasher, Kitchen, Dining Area, Kitchenware, Stove, Towels/Linens at surcharge. 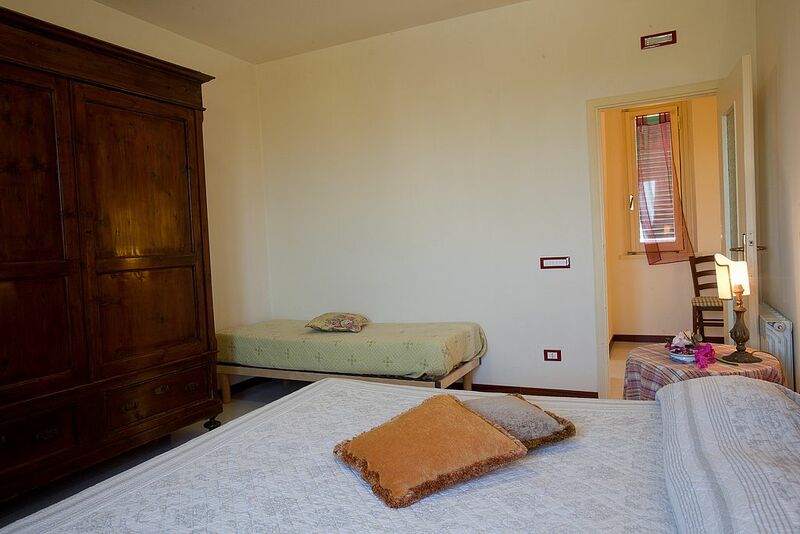 60 sq mt, 1 bedroom with 1 double bed and 1 single bed, 1 bedroom with 2 single bed and 1 sofa bed in the livingroom. 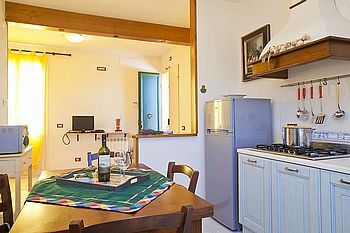 Large apartments with pool view and terrace with table and chairs, Free WI-FI, TV LCD Satellite channels, Washing machine, Fan, Heating, Tile/Marble floor, Wardrobe/Closet, Shower, Free toiletries, Toilet, Bathroom, Bidet, Refrigerator, Microwave, Dishwasher, Kitchen, Dining area, Kitchenware, Stovetop.